In the past two decades, the demand for Kosher food products around the world has greatly impacted the food industry. Kosher Certification is one of the world’s most respected symbols of Kosher approval. Studies have confirmed a direct correlation between Kosher Certification and increased sales. 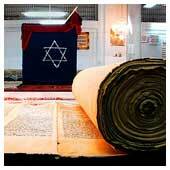 In-depth Courses on Judaism, Jewish History, and Modern Hebrew Language. Comprehensive Preparatory Courses toward Conversion to Judaism. Bar and Bat Mitzvah Preparation and Officiation. Weekly Classes in Tokyo and from Israel via Video Conferencing. Japanese Jewish-Style Weddings and Engagement Ceremonies. Processing Immigration (Aliya) Applications in Israel for Converts to Judaism. Kosher certification is the process by which a company ensures that its food and/or pharmaceutical products can be consumed by people who observe the Jewish dietary laws. Such certification guarantees consumers that the product is "Kosher" - a Hebrew word indicating that it fully complies with these laws.